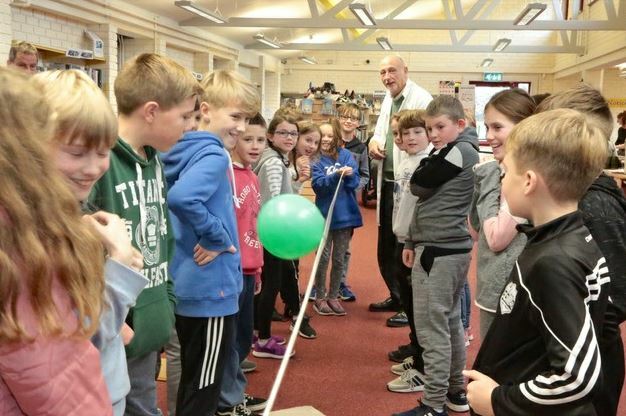 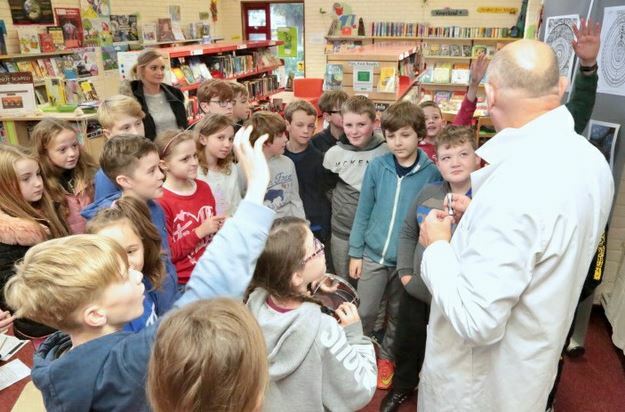 The pupils and teacher from Newtown Upper primary school enjoyed fun and games with ‘Professor’ Pat during Science Week recently at Carrick-on-Suir Library. The pupils are holding a selection of the new STEM (Science, Technology, Engineering and Maths) books which are currently in stock in the library. 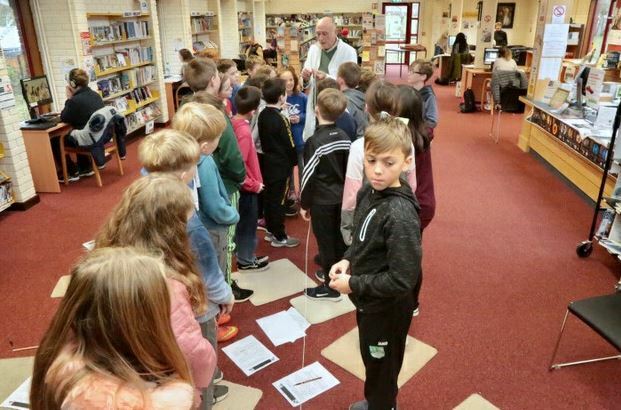 These books are available for loan and cover topics such as Climate Change, Space, Computer Coding, App Development, Inventors and Inventing, Technology, to name but a few, and are brilliant for that school project. 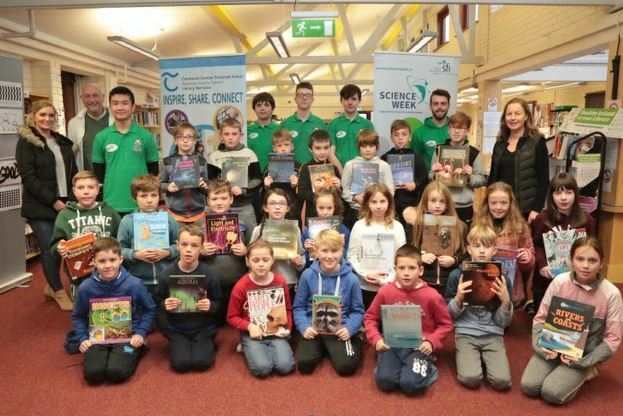 Also in the photograph are TY boys from the CBS, Andrew Loo, Lorcan Walsh, PJ Duggan and Caleb Shortiss Day, Damien O’Connell from Calmast and Carol Delany (Librarian). 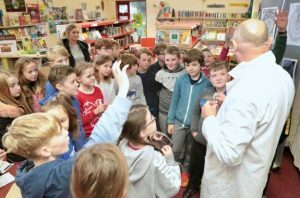 next post: Science Week in Nenagh Library.